Backblaze made its name as a cloud-based storage backup provider (and using lots of hard drives in the process) for individuals and businesses. With B2, however, the company also launched a file-centric cloud storage service for developers in 2015 that aims to challenge similar offerings from AWS and Azure on price. Because Backblaze doesn’t offer any other cloud computing services, that was always a bit of a hard sell, as developers had to work with multiple vendors to write their apps and pay for the data transfer between B2 and their compute providers. 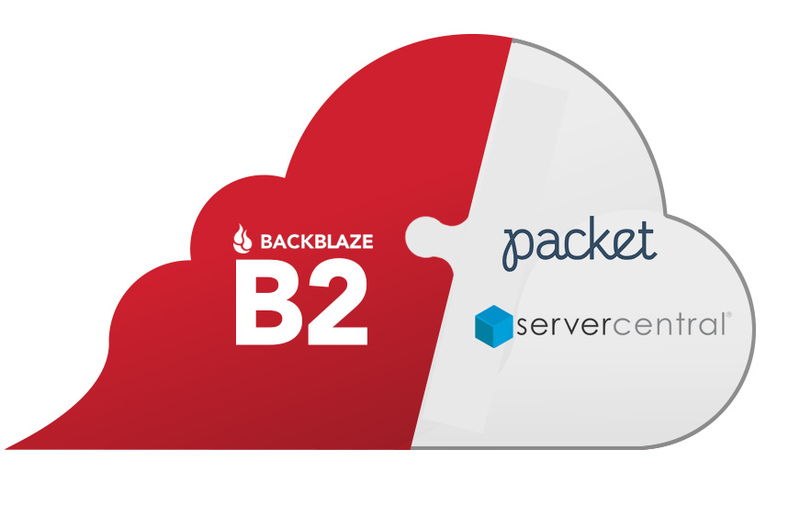 But Backblaze is sweetening the deal today with a partnership with Packet and ServerCentral that will allow for free data transfer. This matchup makes a lot of sense for the three independent cloud providers involved. Packet is mostly known for its bare-metal server offerings, while ServerCentral focuses on helping businesses manage their IT infrastructure. Packet offers a block storage service, too, but the use case for that is somewhat different from Backblaze’s storage service. Likewise, Packet and ServerCentral argue that their services allow developers to use their services and save on their AWS bill.